Are you looking to do rock excavation in Sydney? Look no further than Hillsside Plumbing Excavations & Hire! Whether you have a small job or a large job, Hillsside has the correct tools and expert staff for you. We specialise in a wide range of projects including plumbing work, drainage work, gas work, and excavation work! Hillsside has the sector experience and the knowledge to handle all jobs types including domestic, commercial, industrial, and civil sectors. With over three decades worth of experience, Hillsside is the perfect business to complete your excavation jobs in the Sydney area. Our excavation equipment includes the 12-tonne and 3-tonne Tipper, 5-tonne and 2.7-tonne Excavator, 2-tonne Dynapac, Bobcat 973, Roller Plant Trailer, Plant Trailer, and Ride-on Mower! We pride ourselves on our excellent craftsmanship and dedication to completing high-quality jobs. 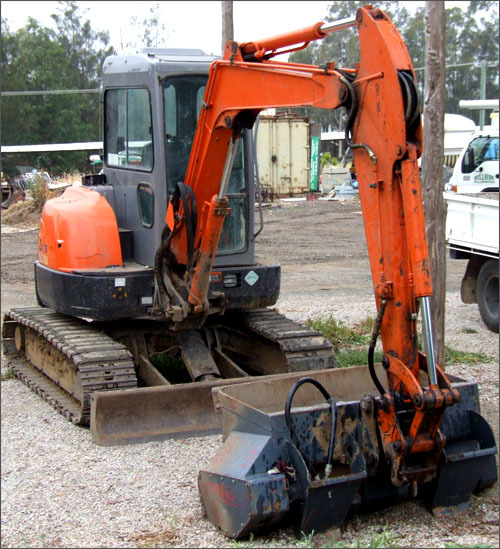 We have 12 tonne, 20 tonne and 30 tonne excavators which are perfect for larger excavation jobs around the Sydney area. Contact us today about which machine will suit your job site and our friendly and knowledgeable staff will be able to help you find the excavation equipment best suited to your job. Hillsside Plumbing Excavation & Hire pride ourselves on offering quality equipment and services at affordable pricing for all jobs across the Sydney area. Contact us today to inquire about our rock excavation equipment in Sydney.